Recognize success and celebrate achievements with our elegant Abstraction Award. 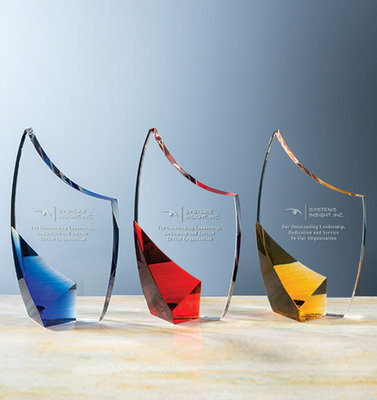 These awards feature an optical crystal accent that forms an abstract sculpture in either red, blue, or amber. Your stylish, contemporary award comes packaged in a protective presentation box.